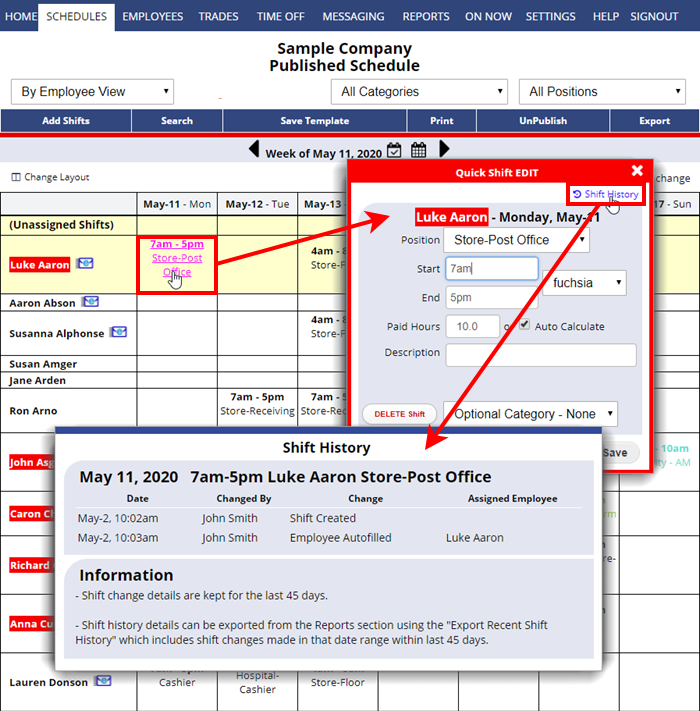 Managers (with permission to edit shifts) can click on a shift to see a link to access a “Shift History” which shows the shift creation and a log of change details for the last 45 days. This can be useful to track who changed details about a shift or assigned it. 1) Set your notifications to send you an email every time another manager changes a published shift. Note: If you allow employees to trade or pick up shifts “At Will”, you will see the employee that “changed” a shift and picked it up along with when the shift was originally created and when any other changes were made. Other recent trade activity and current status are also included. All the changes made to that shift in the last 45 days will be included.